Mid-temperature, medium plastic, semi-vitreous, warm brown burning, native handbuilding and sculpture body with 20% minus 20 mesh grog. M332G is made from seven different clay materials with 15% added grog. It contains a highly bentonitic pyritic clay which gives the body its earthy visual surface character and encourages the development of speckle. M332G is most suitable as a sculptural body for medium temperature. The recipe of M332G differs from M332 (we have not just added grog to the latter). It has more of the red burning clays both to make up for the lightening influence of the grog and produce a warmer color. M332G vents water much better than our non-grogged materials, it has a lower drying shrinkage, and it does not propagate cracks as much. The grog also assists the healing process during joining. When attaching pieces we recommend that you use slip of low water content, apply as much pressure as possible, and move surfaces latterally against each other so that the slip can fix the two together firmly. You will probably find this body uncomfortable to throw on the potter's wheel. Thicker ware or pieces of uneven cross section should be given adequate time to dry. Thus it is often necessary to cover larger pieces with cloth and plastic to slow drying down enough to make sure it occurs evenly throughout. Drying time and technique should be whatever is necessary to achieve evenness, whether that be a day or a month. Final drying should be done under heated conditions to assure that all water is expelled before firing. We recommend that you preheat your kiln overnight on low to give plenty of time for remaining water to be removed. This is especially true in electric kilns where there is no draft to take water vapor away. M332G sets up during storage in the box, the slug will feel stiff to the touch at first, but during wedging it will loosen up to normal stiffness. M332G Fired bars from cone 4 to 8 oxidation (bottom to top). M332G burns a warm red up to cone 5, shifts quickly to brown by cone 6, and holds this color through cone 7. By cone 8 it takes on a slight greenish color and begins to fail at cone 9. At cone 6, M332G is quite vitrified compared to some other sculptural bodies. This means that overhangs and exaggerated forms will tend to warp or sag during firing at this temperature. To achieve the red color and provide resistance to warping, we recommend you fire to cone 5 or lower. While it might seem that the grog in M332G would make it possible to fire the material fairly fast, remember that the grog is quite fine, there is only 15% of it, and this body contains some very bentonitic clays which do not release their crystal water easily. It is not realistic to expect sculptural pieces of typical variable wall thicknesses to fire quickly, especially in kilns which do not have ventilation to carry away the vapor. You must warm the kiln up slowly through water-smoking to give the water time to escape or thick ware will crack or even fracture. 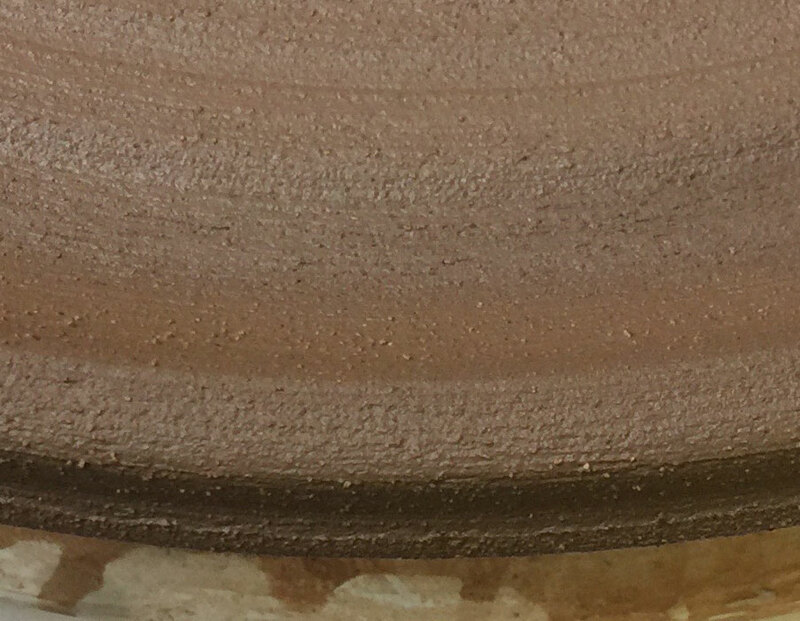 M332G is a coarse body in comparison to our other stonewares and thus will likely contribute to pinholes and other glaze imperfections if the glaze is not fluid enough, the ware is under fired, or you do not soak the firing. On the other hand, you may find that the body's speck producing particles can 'liven up' a glaze and give it much more interesting effects. Also, exposed grog particles will tend to roughen the surface of the glaze, especially if it is applied too thinly or thins out during firing. In addition, this is an iron brown burning body, so it will impose its earthtone color on all glazes (especially translucent ones) darkening them and muddying colors. Most sculptors find that that slips and oxides are effective with this type of material. Plainsman manufactures bodies by grinding and pugging clays that we mine (native bodies) and by batch mixing bagged minerals and materials that we import (refined bodies). 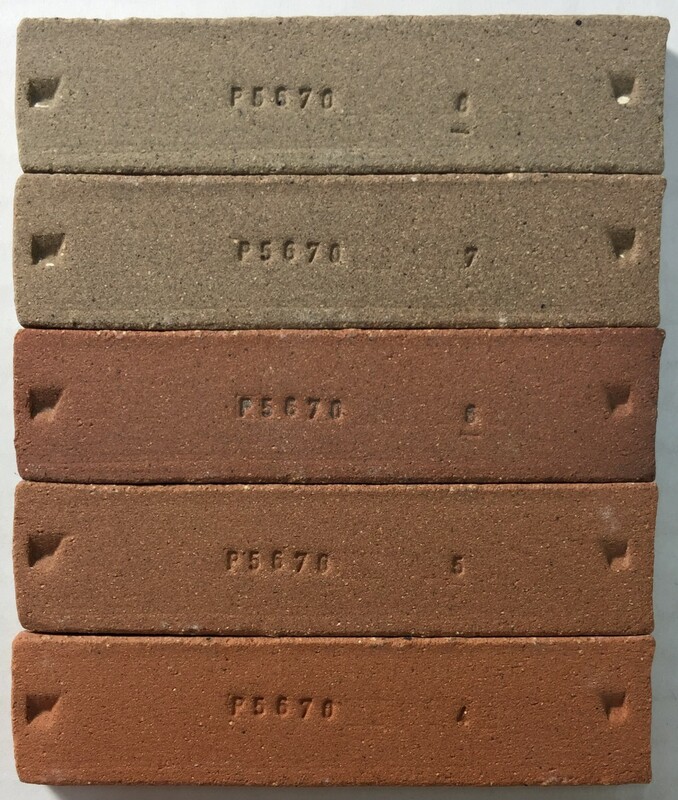 We stock about 10,000 boxes of 50+ clays (some in multiple stiffnesses) and need to reduce the warehousing and production burden of small-run bodies and remove obsolete and legacy products. For bodies being discontinued: We have migration paths and can assist with issues. Some changes involve increased cost. In certain cases you might consider having us custom-mix a body so you can continue to get it, but please work with us on trying to adapt to alternatives first. A legacy body whose focus is better met by a refined material mix. This body contains materials that we longer mine or get. This contains grog that our grinding system is pulverizing excessively, it causes splitting.